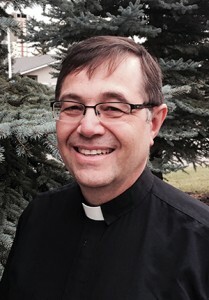 Canadian Lutheran Online » Blog Archive » From the president – Give thanks to the Lord! From the president – Give thanks to the Lord! High above the plains and rolling hills of Bavaria in southern Germany rises Coburg Castle. Today’s visitor walks into the courtyard to find a massive sculpture of Martin Luther holding a Bible. Luther lived in Coburg Castle from the end of April 1530 to the beginning of October. He wrote a good many pieces for publication during those months, including extensive commentaries on Psalm 117 and 118. On the wall of the room where he did his writing was painted in large letters a quotation from Psalm 118:17, in German. The restored quote can still be seen on that wall. It translates, “I shall not die, but I shall live, and recount the deeds of the Lord.” This text, verse 17, became his personal motto for life. Psalm 118 is the closing psalm of the Hallel (Psalms 113-118), a processional hymn of praise and thanksgiving sung during the Jewish Passover. Some scholars assert that Psalm 118 might have been the hymn sung by Jesus and His disciples as they made their way to the Garden of Gethsemane on that fateful night that Jesus was betrayed by one of His own followers. Martin Luther found much joy and peace in the everyday gifts of creation. Sun, food, drink, grain, clothes, precious metals, house, spouse, children, music, good government, education, the functioning of our bodies… All are signs of God’s goodness and steadfast love for all creation, for those who worship Him and even for those who don’t. Ponder the gifts of creation in your own life. As ordinary and normal as many of these daily gifts may be, are they not a sign of God’s goodness and His steadfast love for you? Do you not find yourself thinking, “O give thanks to the Lord for He is good; His love endures forever”? But, for Luther and for us, God’s goodness and mercy is experienced most fully in this life, and for all eternity, in the person of our Saviour Jesus Christ and the relationship the Holy Spirit has established with us! As Luther writes, we know that it is Jesus Christ “who has redeemed us, purchased and won us from all sin, from death, and from the power of the devil; not with gold or silver, but with His holy, precious blood and with His innocent suffering and death, that we may be His own and live under Him in His kingdom and serve Him… for He is risen from the dead, lives and reigns to all eternity… The Holy Spirit calls us by the Gospel, enlightens us with His gifts, sanctifies and keeps us in the one true faith… And in this Christian church He daily and richly forgives all our sins with the certain promise that He will raise us and all the dead and give us eternal life” (Small Catechism, Explanation to the Second/Third Article).